The highest peak is Mt. Silisili, on the island of Savai'i, one of the highest peaks in Polynesia at 1,858 m (6,096 ft). 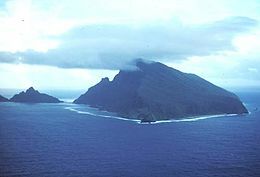 The highest point in American Samoa is on Ta’u, Lata Mountain, at 966 m (3,169 ft). 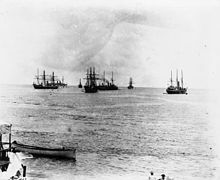 The two large islands of Upolu and Savai'i in Samoa, are among the largest of Polynesian islands, at 1,718 km2 (663 sq mi) and 1,125 km2 (434 sq mi), respectively,  exceeded in size only by the two main islands of Fiji and the Hawaiian islands of Hawaiʻi and Maui. The island of Upolu is more populated than Savai'i. The 2009 Samoa earthquake and tsunami killed more than 170 people in the Samoa Islands and Tonga. 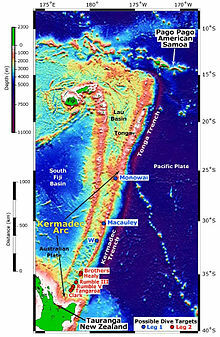 The M8.1 submarine earthquake took place in the region at 06:48:11 local time on September 29, 2009 (17:48:11 UTC, September 29), followed by smaller aftershocks. It was the largest earthquake of 2009. The quake occurred on the outer rise of the Kermadec-Tonga Subduction Zone. This is part of the Pacific Ring of Fire, where tectonic plates in the Earth's lithosphere meet and earthquakes and volcanic activity are common. The Vailulu'u Seamount, an active submerged volcano, lies 45 km (28 mi) east of Ta'u in American Samoa. It was discovered in 1975 and has since been studied by an international team of scientists, contributing towards understanding of the Earth's fundamental processes. Growing inside the summit crater of Va'ilulu'u is an active underwater volcanic cone, named after Samoa's goddess of war, Nafanua.